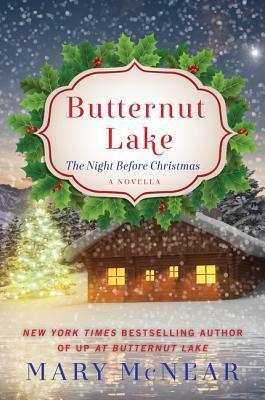 Goodreads: Butternut Lake is so beautiful at Christmas—from the delightfully decorated shops, to the cozy homes with their twinkling lights outside, to the lake itself. And this year so much is happening! Kritters Thoughts: The Butternut Lake series is a series that can be read out of order as each book centers around a different resident whether they be new to the lake or not, so as this book is technically 2.5 in the series, I have read the whole series minus #3 and may have to remedy that soon! Set during the holiday season this novella centers around Caroline and Jack who have reconnected after decades apart and have decided to marry again and start new. Their daughter comes home to celebrate and there are a few secrets and surprises in store for this short and sweet book. I am usually antsy about novellas that are a part of a series that I love and adore but this one stood up to the full novels. I loved getting a glimpse of this community during the winter season because the rest of the series that I have read take place in the peak of summer season as the lake community has quite a bit of visitors and things going on. My review of this short and sweet novella will be short and sweet, I loved it. I didn't regret for one minute that this was a novella and in fact I kind of liked to read something that I could curl up and finish in just one sitting.